Losing one’s eyesight is a traumatic experience that robs the afflicted of many of their daily pleasures, such as reading, sightseeing, television viewing and seeing children and grandchildren. Even those who are partially sighted through conditions like macro degeneration, feel a great sense of loss and isolation. The job of the caregiver is to give the person they are caring for a sense of purpose. Without candy-coating their visual impairment it is possible to enjoy other activities and experiences. Caregivers can encourage their patients to listen to audio books, or if they have partial eyesight, get large print books. 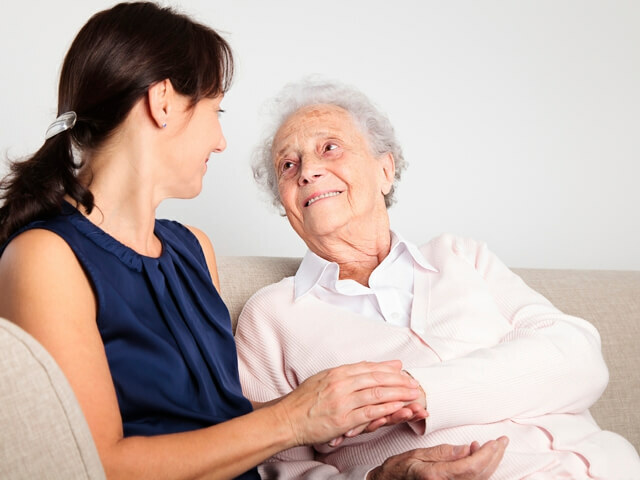 Alternatively, the caregiver can read books, magazines and newspapers to their patient. If the patient lives in a retirement village or communal residence, encourage them to socialise and take part in suitable activities. If they live in their own residence encourage their next of kin and friends to visit as much as possible. This will counter the sense of isolation. Ensure corridors or regular pathways are free of obstructions. Make sure that there is good lighting in all living areas. A lowly lit room drastically reduces the patient’s ability to identify shapes. In the event of load shedding or power failures ensure that alternative lighting is available. This should never include candles. Keep objects such as radios and kitchen appliances in the same place, so that they are easily found. When going to attend activities and meals in the retirement village encourage the patient to make use of a wheelchair. Take control of administering medication. Mistakes could be fatal. In conclusion, it is true to say that the caregiver is key to providing an environment that is safe and that encourages a sense of independence and self-worth.